It's not hard for me to believe that it could have happened, there's another building that can be seen in an Oct 2005 picture on flicker that I've posted earlier...wondering if that has a staircase in it? IIRC, it looked like a two story building. It's just hard for me to believe they would have left her there, and no one noticed at the time? Construction workers? Maybe Aruba would rather just have everyone wonder if the Marriott is Natalee's coffin than check it out? How could that possibly be a good thing? Don't you think if they(LE) had found a body there, they would have hushed it up, paid off anyone who had seen it and disposed of the body immediately? Last time I will invoke billb-my Dad...I followed along with his train of thought and will continue my posts with my thoughts......(by the way...he taught me the...... )..I was never keen on stacking quotes though. 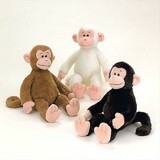 Its hard to believe Monkeys that it has been 10 years. God bless Beth, Dave and the rest of the Holloway, Twitty, Reynolds family. So much has happened, so much hasn't happened and we lost so many along the way. We have had wins and losses and I believe there is still more to come. Throughout the day I am going to release posts on the front page and will copy the links to the forum. 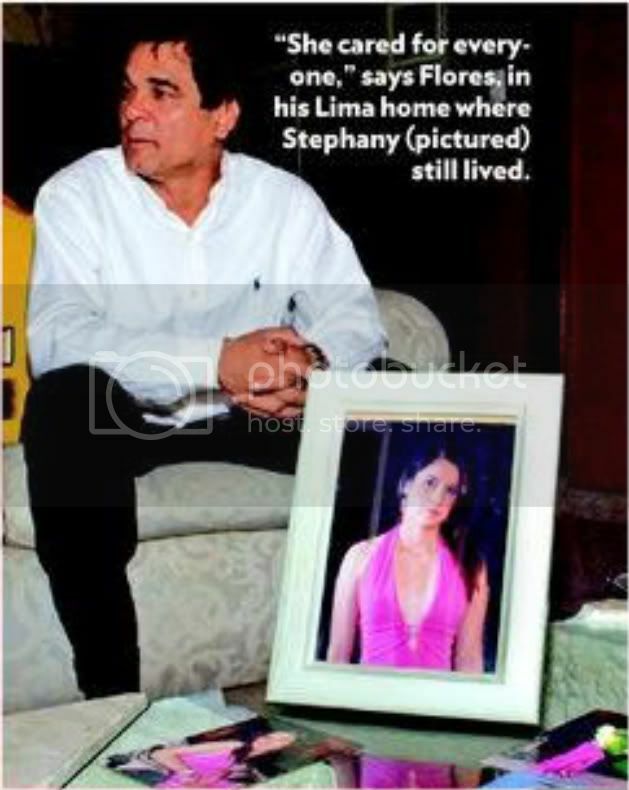 The day year mark of Natalee's disappearance and death in Aruba also marks the 5 year date of the murder of Stephany Flores. Joran Van der Sloot is one sick SOB as it is obvious that is no coincidence that it was to the day that this sociopath struck again. We can take solace that he is locked away in prison. Personally, I would rather have in in a locked room for 1 hr. to deliver some Monkey justice. But that's me. 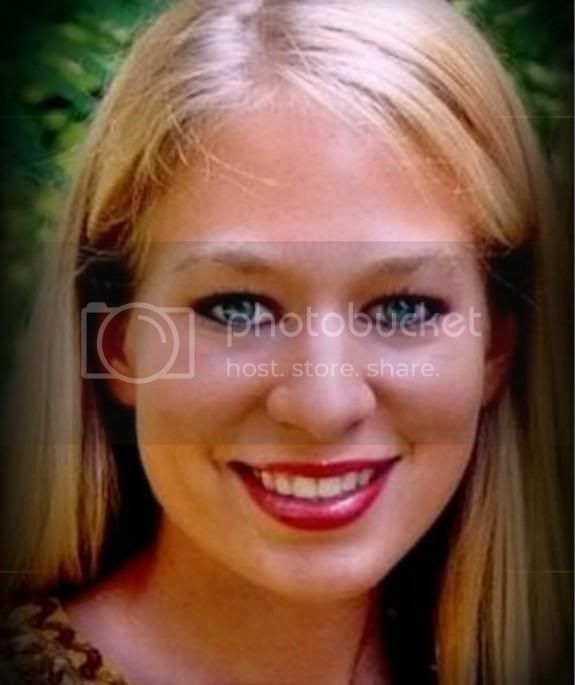 To all, past present and future, who have taken the time, cared, researched, prayed and put Natalee Holloway, Beth, Dave and her family in your hearts as well as so many other missing persons, victims of crime, and their families ... thank you!!! God bless you Red and all devoted Monkeys. And blessings to Natalee's precious family and friends. Anyway, remember John Merryweather, evil incarnate and my mom’s cousin? He has a son, named Herbert (Herbie) Merryweather. Herbert is married and has a son, but I don’t know his name. The mother of this son came to talk to my mom day before yesterday and it turns out that her son is a classmate of Joran’s. I’m not kidding. Not even a little bit. Also, the morning after NH disappeared [May 30, 2005], Joran came with a big bruise on his face and was sleeping in class and could only be woken up when he was pelted with (note?)books. Mr. Merryweather, thank you so much for being with us tonight. Tell us, why were you involved in that protest? What do you think that Natalee's mother did wrong? JOHN MERRYWEATHER, FORMER ARUBA DIPLOMAT: Well, first—no, no, first of all, I'd like to answer why I was at the—not protest. It was a gathering in support of our justice system. It was not a protest. It never started out as a protest either. I would like that to be very, very clear. When I was there, I hadn't heard what the comments of Natalee's mother either of the day. I was asked that after I was there. I went there. I was not part of the organization, but I went there in support of our justice system. SCARBOROUGH: No, what did Natalee's mother say that offended so many people in Aruba? MERRYWEATHER: Well, you know, it—it—it offended me, also. You cannot—these two boys, I don't know them. I don't know the parents. I don't know anyone involved in this personally. But our justice system, as yours in the states, you are innocent until proven guilty. This system of ours, whether you agree with it or not, whether you understand it or not, allows these people to be free at this moment, but they are not free of charges. They have not been exonerated from this case. They have not been found innocent. They are witnesses. And they can be called upon at any time. SCARBOROUGH: OK, Mr. Merryweather, that is fair enough. I mean, that is a fair enough point. You're innocent until proven guilty. You can't tell me that John Merryweather didn't know Joran or his family, he may not have known the Kalpoes or the security guards though. They were all lying, from the very beginning. The fix was in from the outset on so many levels. More posts to come today and the weekend. My rant for the day ....... I'm still livid at the "Persistence." Not only they did purposely ignore/conspire against the whole trap and "mission" - they took public contributions for a commercial venture. While Kyle Kingman may have been duped, he is just as complicit for going along with it. against all odds, you are still here, unlike the rest. That says a lot about COURAGE!!! Thanks to Ms. Klassend for her dedication, hard work and most of all her loving heart on this site & in her life. Thanks to the moderators who also dedicate, work hard and their hearts to the lost and missing families and members of this site. 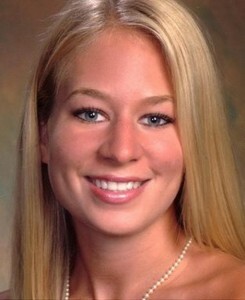 Thanks to the family of Natalee Holloway who shared their beautiful, bright and loving daughter with all of us. 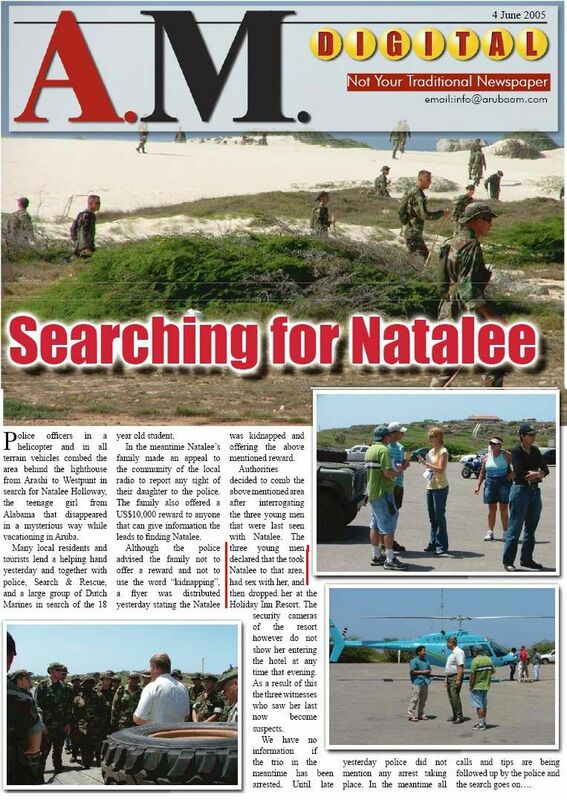 Thanks to the dedicated monkeys who continue to support Natalee's plight - to be found. 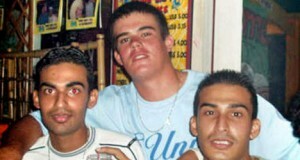 Aruba no thanks to you who let a murderer free to kill again and may the blood be on your head. Kyle Kingman, you can build your big fancy house, cover your guilt, but your cowardliness will be dealt with in the end buddy.